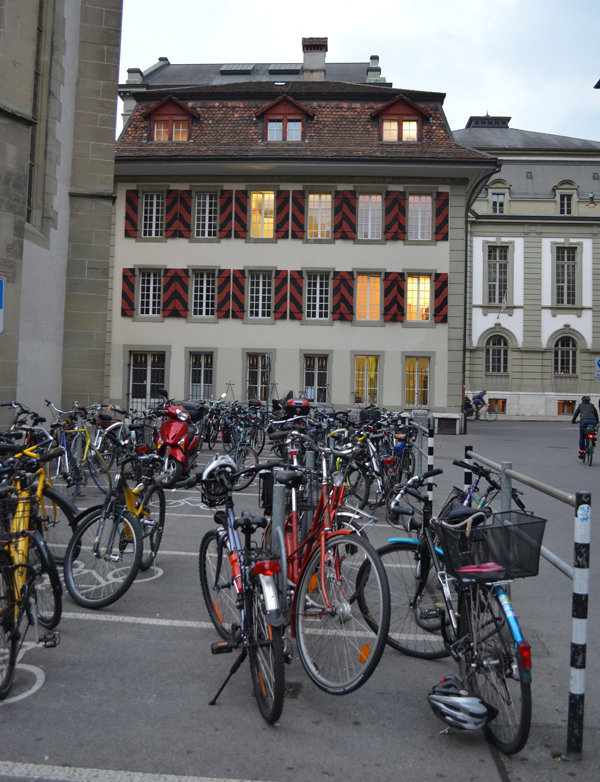 Bike were everywhere in Switzerland... just as in everyother European country I've visited. The train stations had "bike parking lots" that were jammed full. 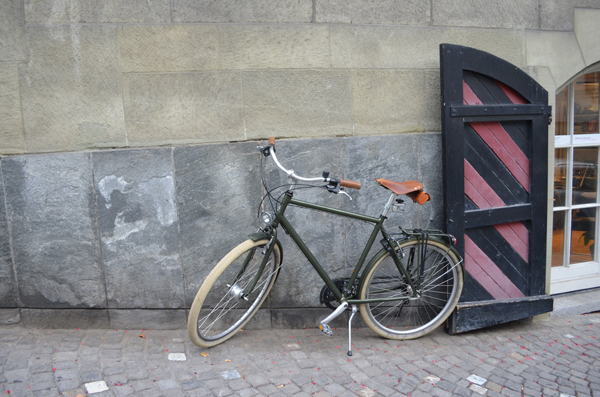 Bikes in Europe are great... so well built with special details. Look at the leather seat on this one! Did you know... "In Almost Every European Country, Bikes Are Outselling New Cars"? We could use a little bit of that.